Does Jesus’ call to “Go and make disciples” seem a little intimidating? You’re not alone! 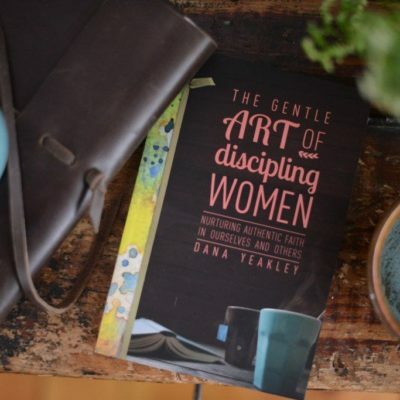 Author Dana Yeakley knows that discipling women can be overwhelming—but she’s seen how our amazing God works and knows that He has uniquely designed you to disciple other women. Read the book and then come and discuss very practically how to be, and make, disciples. And if you didn’t finish the book? We understand, AND we would love for you to come anyway! Along with book discussion we want you to have a chance to connect with other women again, to perhaps sort out how, with whom, and when to begin (or continue!) a discipling relationship. There will be time to enjoy a good cup of coffee, and of course, chocolate! This event will take place at both campuses. Questions? Contact Carole Hoy at choy@willowdalechapel.org. Don’t have the book? Get it HERE.